modalities, we give ourselves a gift to embrace the sacred creative energy within and weaving this essence in the wondrous tapestry we call life! Cost: $85.00 for 3 hrs and All Materials are included. Curious Open Heart to feel Joy & Inspiration!! 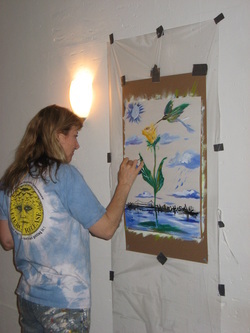 * "The most beneficial aspect in this Seminar for me was the painting but I realized I would not have gotten there had it not been for the vocal toning, mediation and dance before hand." 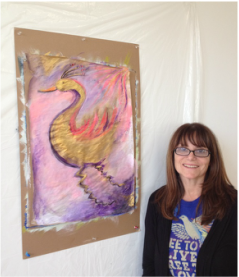 ~Barbara P.
Take an Artful Ride with an Art & Soul Seminar! ​Enjoy Listening to Your Heart Speak! :) Inner Refelction to Discern & Inspire!